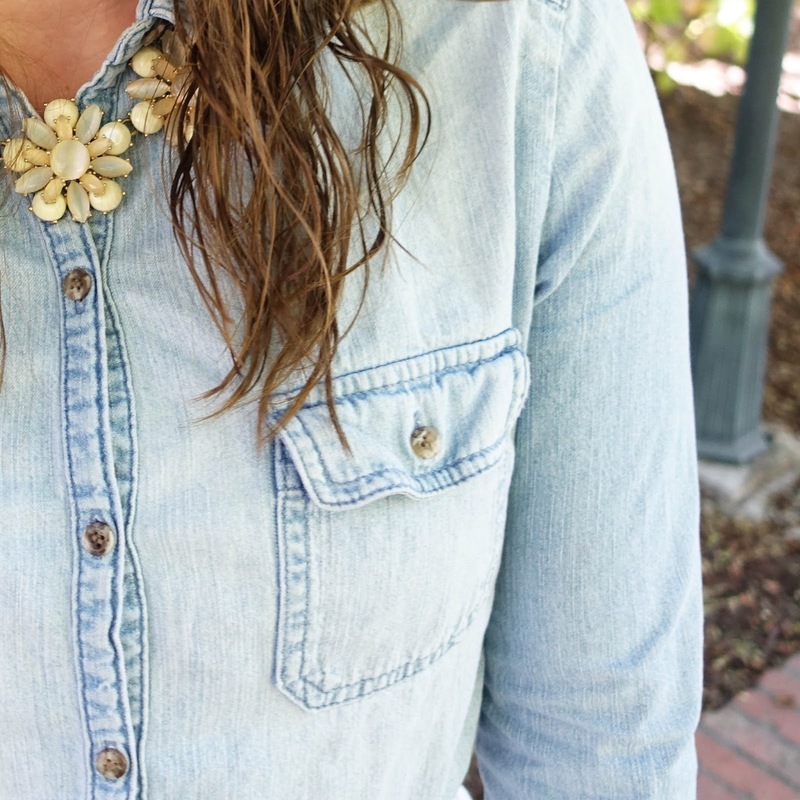 Summer Chambray! Magnolias and Sunlight: Summer Chambray! 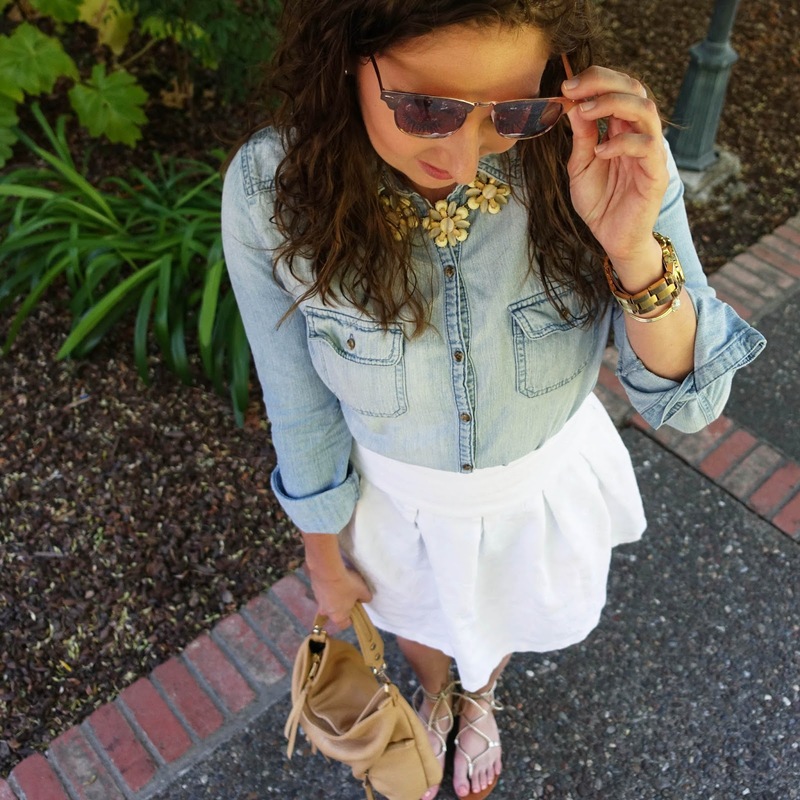 I've been working with Napa Valley Film Fest and our first post over the weekend was about dressing Napa Casual. This outfit was inspired by that post and I love it! I've been wearing a lot of chambray lately. I just love the way that it looks — casual and classic. I've worn this same top with black leggings and riding boots for a really casual look, but just by pairing it with this white skirt and statement necklace it transforms into a dressier look that I can wear to work or on a date. I made this skirt in high school with my grandmother and I've held on to it for years. It's a classic shape and the white looks so crisp in the summertime. I am not one to wear pleats because they're known to add bulk, but if you find a fit that you love you should invest in it. 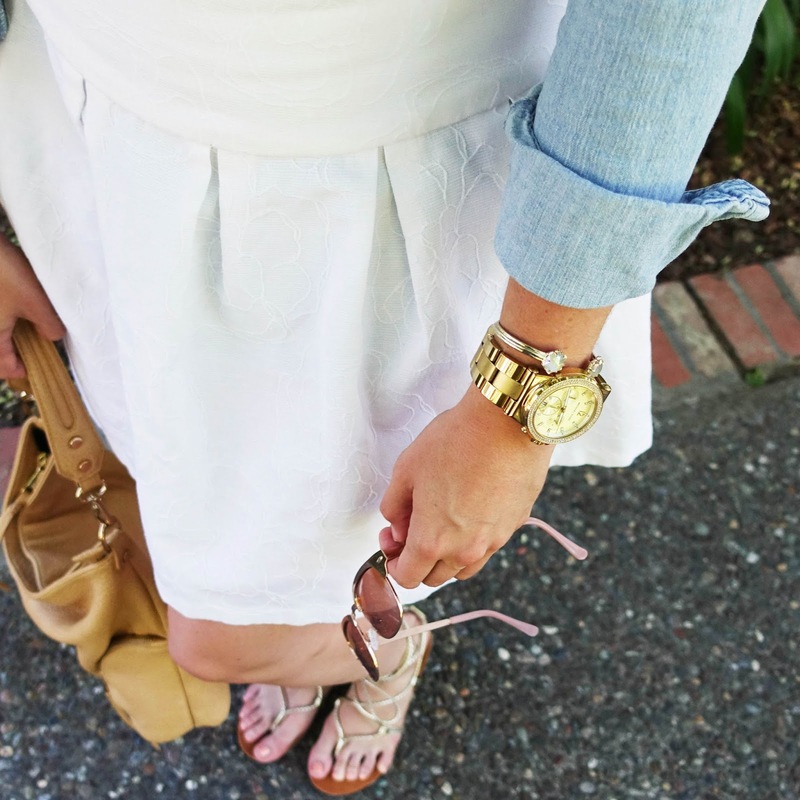 A white skirt should be a closet staple. I've linked a few styles down below that I'd love to wear! These gold lace-up sandals have been so great this summer. I've worn them with dresses, skirts and tied them really low with skinny jeans. I found them on sale for $18 for you guys. For that price you can add them to your closet and wear them the rest of the summer and still get your money's worth. This necklace is really old, but I still love the style so much! Check out Charming Charlie for great statement necklaces this fall. They have some super similar looks. 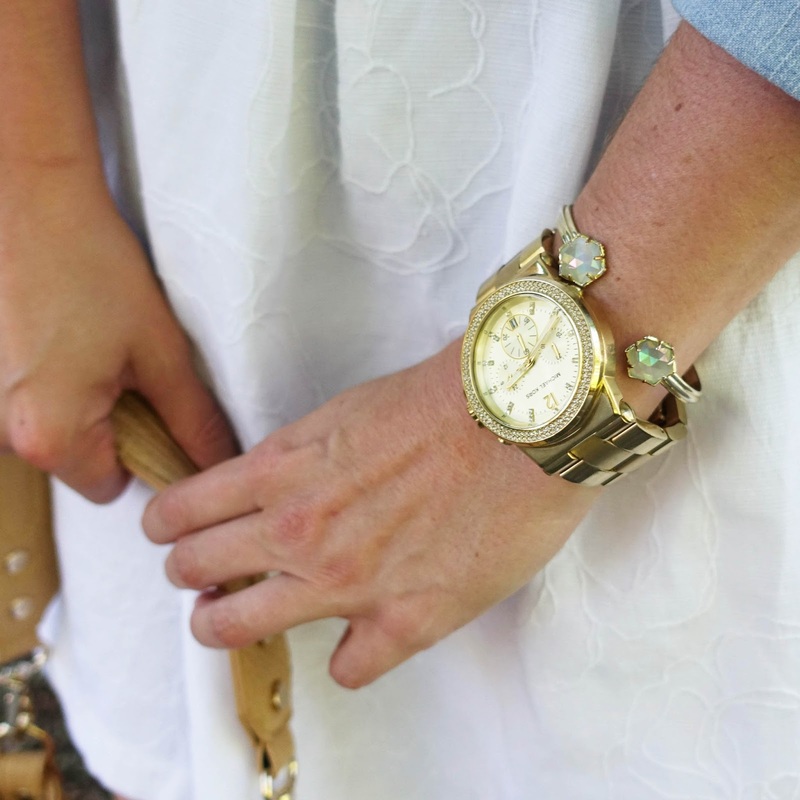 I'm super excited about the new People StyleWatch collection! Some of the ring sets and earrings are so great!